Dog Winter Accessories - Ready for the Chill? After a never-ending Autumn, Winter has finally arrived with early nights cosying up in front of the TV or an open fire or ideally both at the same time! Why should our furry friends miss out on the best this winter season has to offer? Is it time to add some extra layers to your pooch's bed or upgrade his outdoor living space? We spotted the latest trends and are happy to share our finds with you. The Circo Basket by Sasha & Me is made of 100% sheep wool, ideal to keep your pet warm and cosy. It also doubles as a very stylish toy storage basket. All the pods are handmade by a group of women in Nepal so the pattern might slightly differ from the one shown in photos. This model comes in two tones: Ice (featured) & Dark Stone (grey) with contrasting yellow handle. Available in Small & Large. 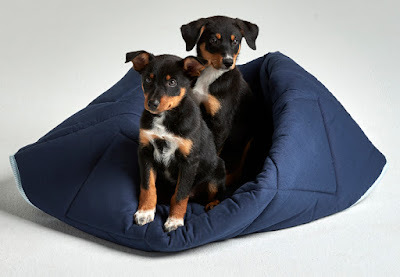 Maison Dog's Puppy Pod is a medium-sized Pod suitable for Jack Russells, Shih Tzus, Cavalier King Charles, Pugs, Miniature Poodles, Whippets and other breeds weighing from 4 to 12 kilograms. 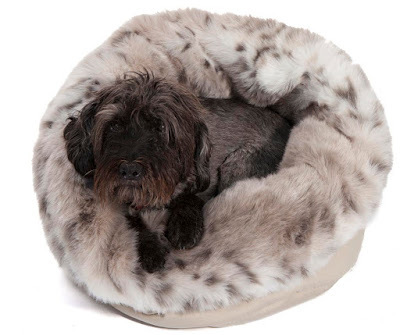 The Puppy Pods are made from ‘luxury fashion’ fur using the highest quality acrylic fibres. The base cloth is predominantly cotton or can be denim, canvas or other quality furnishing fabric. The padding is a furnishing grade Dacron that is sewn into all seams, allowing the pod to be positioned in multiple ways for comfort and functionality. Padded handles are there for ease of transport of the Pod, however they are not designed to carry your pet within the Pod! 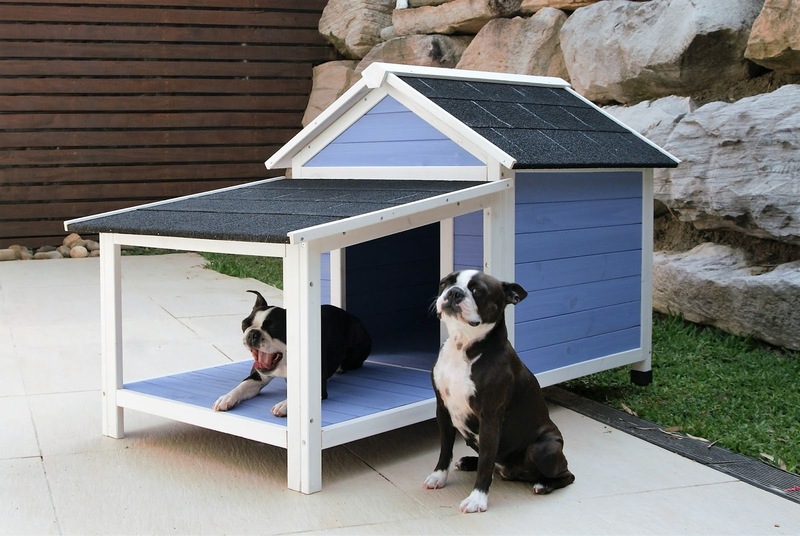 Now your pooches and felines have the choice of lounging on top, or snuggling up inside! 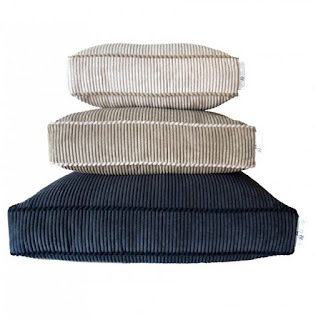 The Snuggle Pod dog beds from Miyow & Barkley come in stylish microsuede, cord, faux fur or raw unbleached cotton to match any home... You can throw them on the lounge, bed or floor, wherever your pooch likes to hang out. All snuggle pod inserts come with a zipper so you can always add more stuffing for the heavier pups… You can purchase covers separately to change up the look or if you need a spare. Locally handmade, these cosy dog sleeping bags from My Dachshund Online are fully lined and have a thick soft layer in-between two layers of fleece for warmth and comfort. 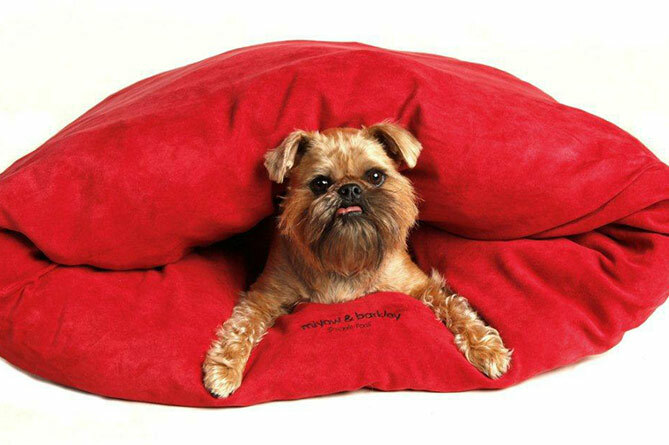 Your pooch will happily burrow down and snuggle in for the night. 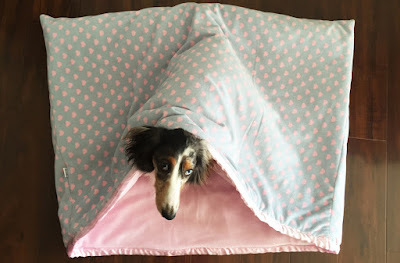 Suitable for dog breeds from Dachshunds to Dalmatians (1m wide x 75cm deep), these dog sleeping bags have been selling successfully for over 5 years. 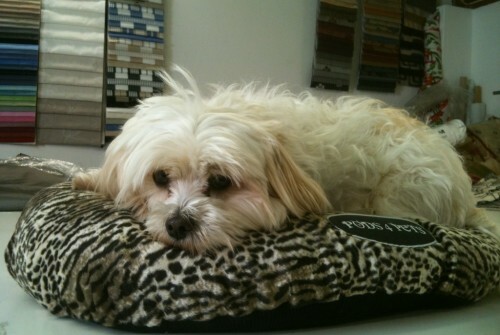 With loads of fabric choices, you are sure to find one that suits you, your pooch and your decor. 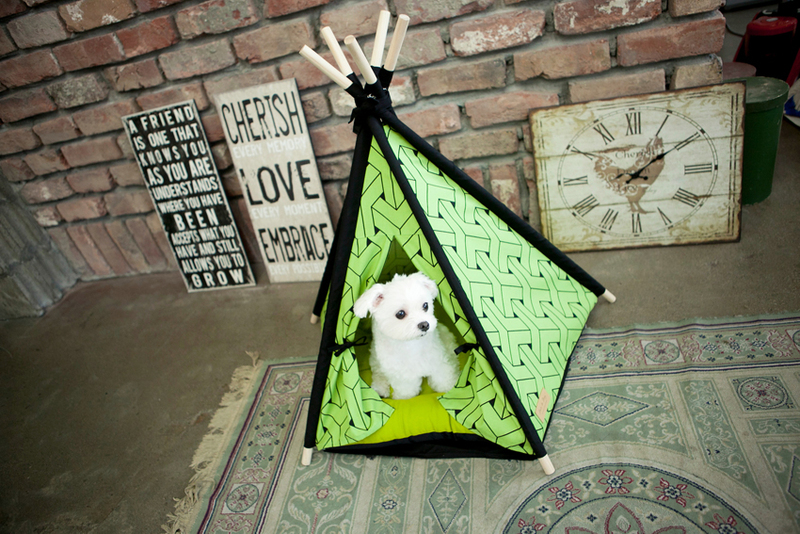 The Huts and Bay Teepee Tent is a fully enclosed retreat for your four-legged friend. 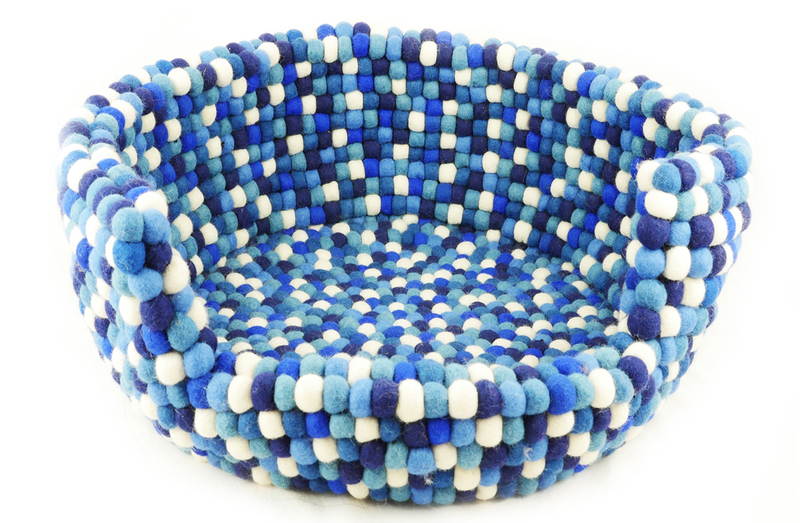 This bespoke, handmade and washable doggy or kitty dome makes for a premium pet house. The wooden poles and foldable tent are connected securely with a coated wire and assembly is effortless. For extra comfort, it comes with a double-sided plush cushion (cotton on one side and microfabric on the other). The tent cover is made of 100% tough Oxford cotton to ensure both print and shape is retained after repeated washing. This material is also ideal to keep heat and moisture well regulated. Teepee tents come in a range of seasonal colours and exclusive styles to match your home interior. The new Dachshund Geometric dog bed is exclusive to Lazy Tails Designs. It comes in teal green, lavender, grey, light pink and white with teal & white print sides and back. This is a bed cover only which you can easily fill with 2 standard size pillows. Made of 100% medium weight Polyester with a cotton zipper closure. Other breed designs and colours are also available. 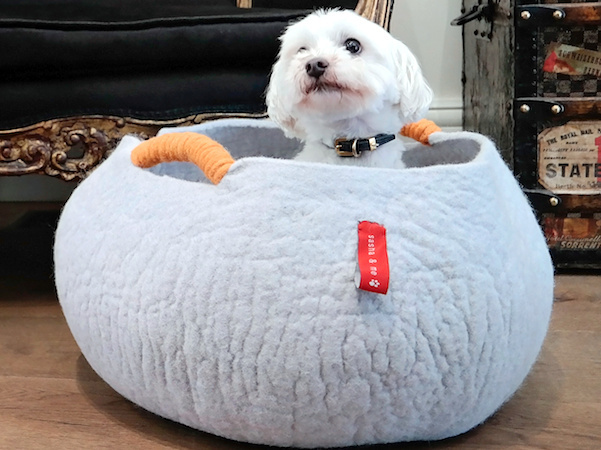 Handcrafted with high-quality, organic New-Zealand sheep's wool, this Felt Ball dog bed is a unique design by Mimi's Daughters and is perfect for dogs to both sleep and live in. They are cushioned and will provide maximum warmth and comfort this winter. Each felt ball dog bed is carefully handmade individually, therefore no two are identical. Currently available in blue and grey. The Charlie range by Oscar & Lulu is a luxurious chunky cord that feels divine and it comes in three stunning tones. This range not only offers optimum comfort for your dog, but is also very stylish and will look gorgeous in a variety of interior settings. Oscar & Lulu's inserts are designed and made in Australia. The cushion covers are made from cotton, which makes them more durable, then filled with premium 'A' grade polyester filling, which is flea and mildew resistant. All covers are stitched in heavy duty thread and zippered for easy take on/off. 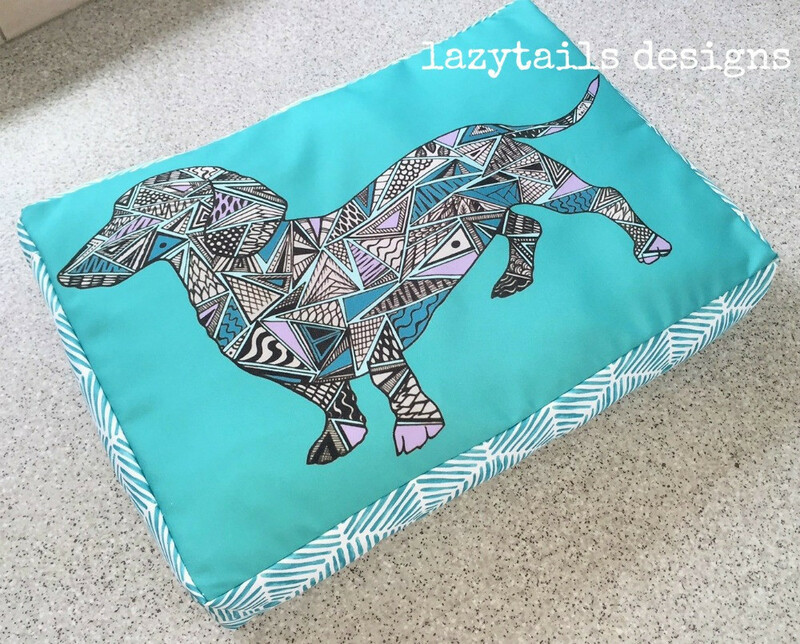 Available in 3 sizes (Small, Medium, Large) as a dog bed, coverlet or cover only option. The Pocket Bed by Dogtired has a touch of origami about it! The simple design folds to create a pocket for small and medium dogs to nestle into. The pocket shape is soft and open. This bed can be used in two ways; it can be used as a large mat (100cm x 140cm) or can be folded in half and secured on one side to create the pocket. The Pocket Bed can be used as an accessory to the original raised Dogtired bed or as a standalone bed. The Choc Cheetah by Pods 4 Pets is the latest addition to the luxury faux fur range, just in time for winter! The faux fur material 'breathes' and does not harbour fleas, bacteria, smell or mould like many natural fabrics. The base - available in a wide range of fabrics - is the same for each size. Simply select your dog bed size, then choose an available cover to go with it. They come as a ‘set’ but you can purchase each part separately. Available in Medium & Large. 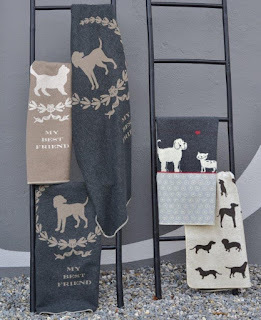 With the growing trend of small dog ownership, it can be difficult to find a great choice of designs for those of us who love the large or giant breeds. Fear not, we found some beds which will accommodate the largest of them all without sacrificing comfort or style! The new Henry Hottie XL-HD bed stands for Extra Large High Density and is a smaller version of their popular XXL (Giant Breed) bed. The bed base is made of a specially designed thermal fibre whilst the top layer is a less dense thermal fibre combination, very similar to the comfort layer on a high-end human bed. Large and giant breeds need all the support they can get as joint problems can often surface around 2 years of age. 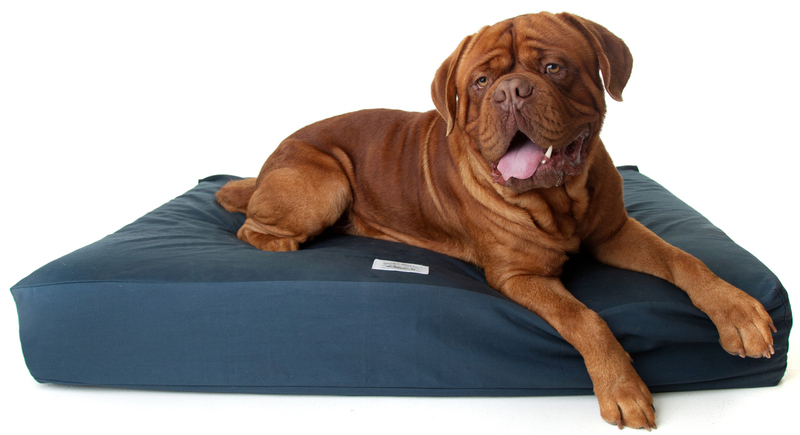 This bed will offer superb support for dogs ranging from 45kg up to 110kg, allowing them to fully stretch without losing vital support around the head, neck and lower back. David Fussenegger's blankets & throws are famous worldwide for their warmth, softness & irresistible comfort. Now they're available as beautiful pet blankets made in Austria from plush cotton fleece. These blankets are thick, cuddly and soft, and also reversible. 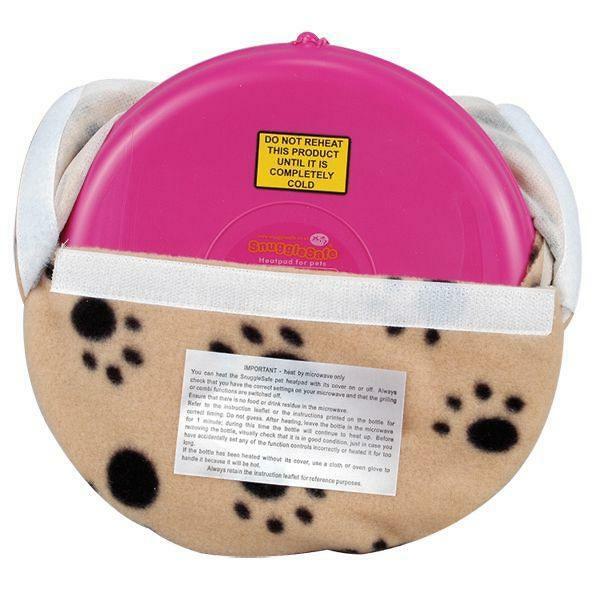 This unique microwave heat pad is designed especially for use in animals' beds. A round disc (the size of a dinner plate), the SnuggleSafe Heat Pad fits into any microwave oven and then just slip it under your bed's bedding at home, in the car or wherever needed. The tough outer casing is bite resistant and hygienically wipes clean. Not only domestic pet owners use it, vets, breeders, rescue centres etc. across the world find SnuggleSafe a necessity. Newborn animals, elderly pets and sick animals depend on it. 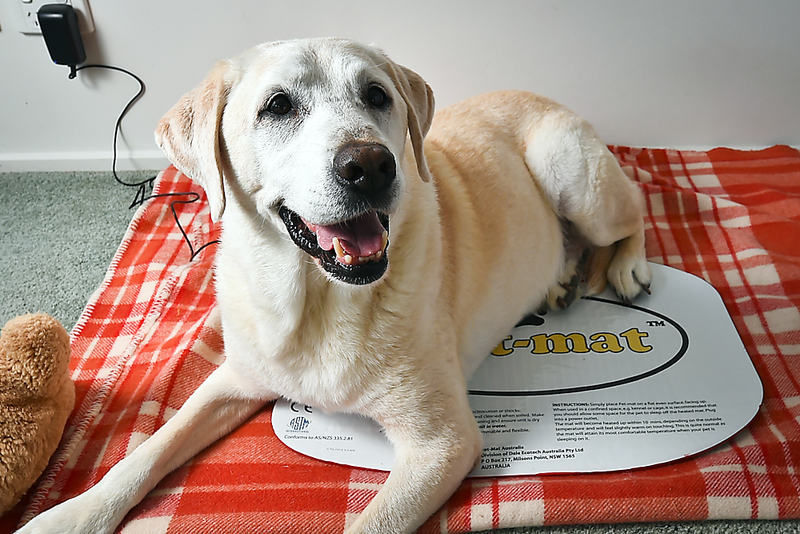 Pet-Mats are designed in Australia and are the latest in heating pads for pets, utilising carbon fibre technology. 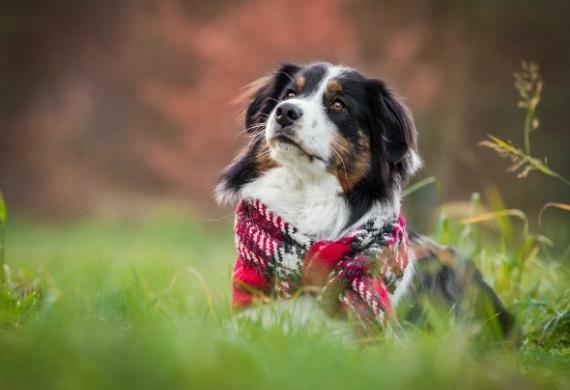 This results in a more economical heating device for keeping your pet warm, particularly beneficial if your animal is sick or suffers from arthritis. The latest model includes a thermal cut-off so you can simply switch on your Pet-Mat™, and leave it on. They come in three sizes (Small, Medium & Large). This timber dog kennel is made of firwood material. It is lightweight, yet is a solid unit complete with front porch where your pooch will enjoy watching the world (preferrably with you in it) go by. The roof is made of waterproof soft tiles. 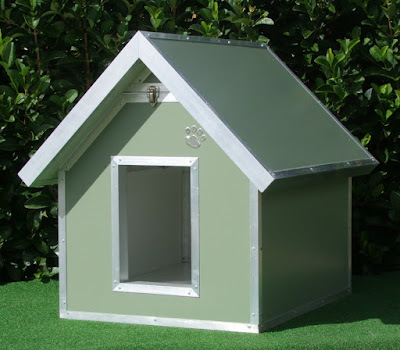 This model is suitable for small to medium sized dogs with an internal footprint of 64cm x 59cm (height of 69cm to the internal gable). As with most kennels, it comes as a flat pack but can be constructed within 15 minutes. A customised insulated Kumfi Kennel is designed to provide maximum protection from the elements as well as minimise the noise from storms, whilst giving your pet a comfortable environment to relax in. It features a hinged pitched roof for ease of cleaning and routine maintenance, a single latch at the front to help seal the roof in position and a raised floor to keep your pampered pet warm and damp free. Before winter sets in, throw out that ruined/chewed kennel that has been destroyed by the weather or your own pet. Kumfi Kennels are not just hard wearing, they also have an anti-bacterial coating and are 100% recyclable. You can choose from their Classic or Patio styles. Available in 4 Colourbond colours and 5 sizes (Small to Extra Large). If you require a custom made kennel, simply ask for a quote as they can build a home for your pooch that will perfectly fit your specific requirements.